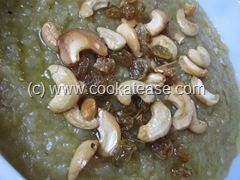 Sakkarai Pongal is a sweet, rice based dish cooked mainly during harvest festival ‘Thai Pongal’ (in mid-January of the year) in Tamil Nadu. It is also offered to god during Friday puja in Tamil months of Aadi and Thai. Sakkarai pongal is considered as the best offering to goddesses. 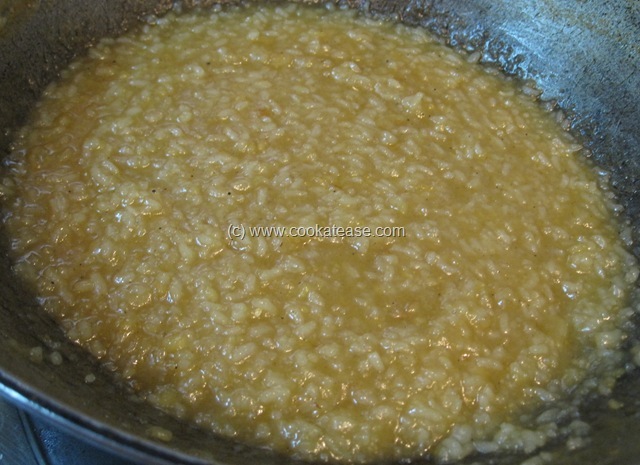 Rice, split green gram and jaggery are the main ingredients of sakkarai pongal. Milk is also added to get good texture and taste. Traditionally it is cooked in earthen pots. Sakkarai pongal is a healthy rice pudding as jaggery is used for sweetening. 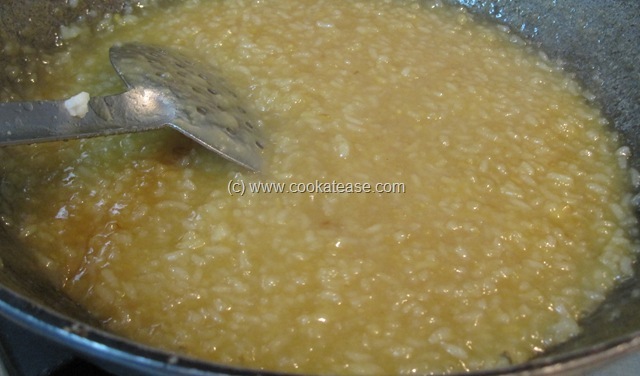 Sakkarai Pongal can be compared to Meetha Chawal of north India. 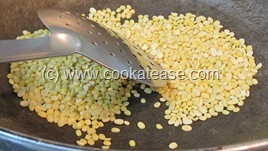 Dry roast green gram in a pan till golden in colour and nice aroma comes out; now add this with rice. 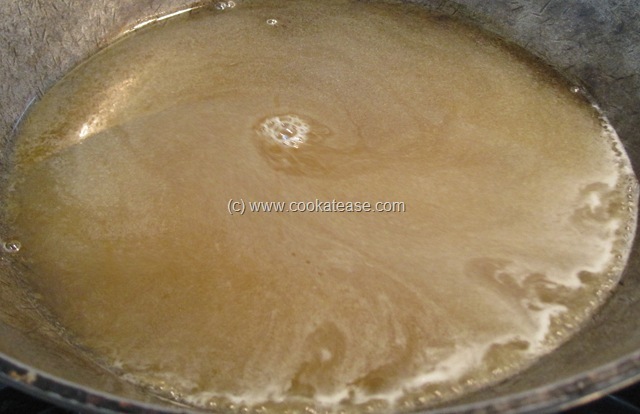 Wash and cook with a pinch of salt in a pressure cooker or in a pan (I did this in a pressure cooker with rice and water proportion as 1:3). 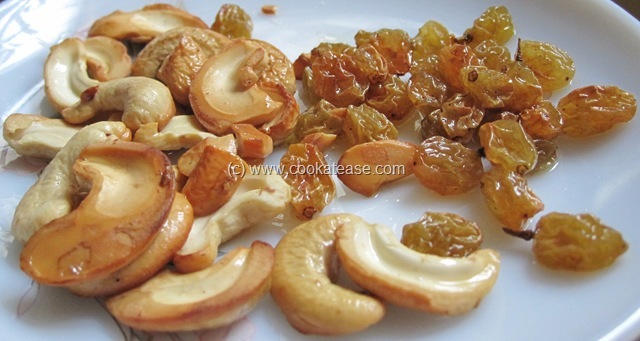 Fry cashew nut and raisins separately in few drops of ghee; dissolve jaggery in two cups of water; filter and boil it for 5 to 10 minutes or till the raw smell leaves. 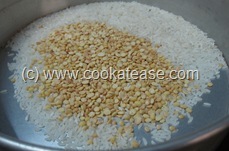 Add cooked rice, dal and mix well. Add cardamom powder, ghee and mix well; let all boil together for 5 to 8 minutes; remove and add remaining ghee, fried cashew nut, raisin. 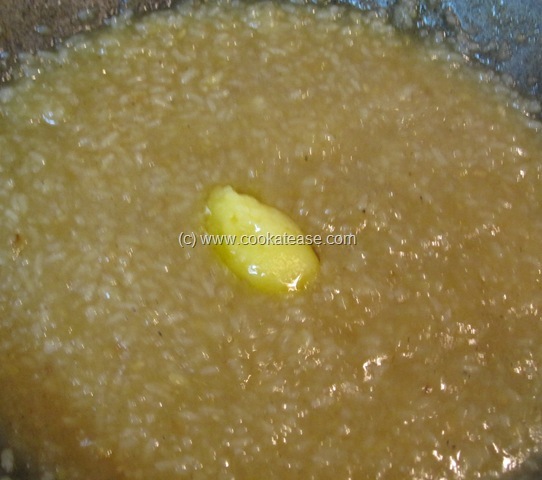 Pongal has the tendency to be thick after cooling down. 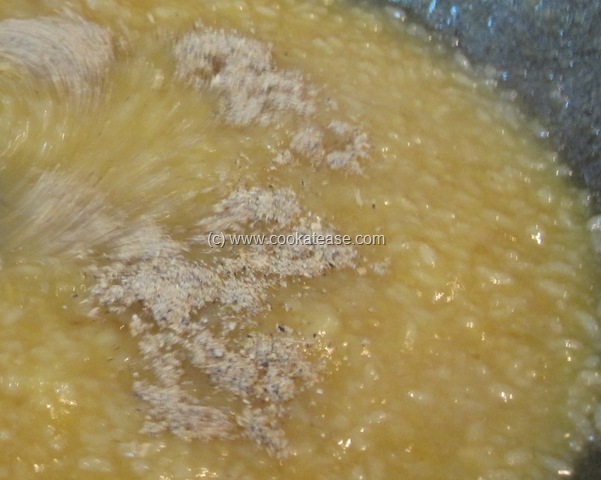 So remove pongal when it is little semi-solid to get right consistency after cooling. 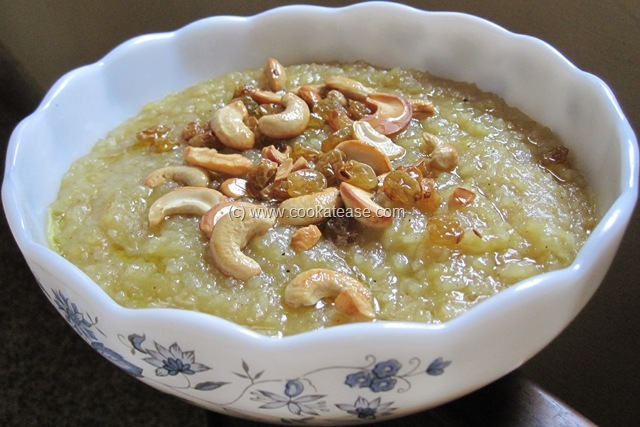 This terrific post took me back to the days when my Grandmother used to make delicacies like this to mark festivals and important family occasions. She used to spend hours in the kitchen and sarkarai pongal was one of the best she used to make. Somehow, seeing this post, I longed for my grandma’s soothing presence. Love this, looks yummy yumm. I can have this sweet pongal anytime, my favourite.. 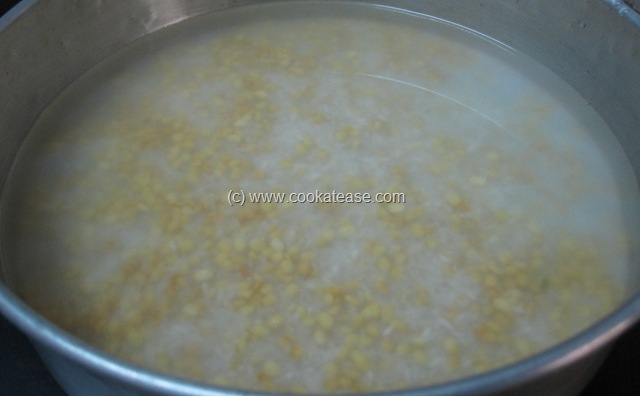 So yummy…nice step by step pics. 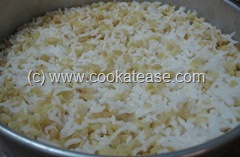 Sakkarai pongal looks really good. I want to taste now. I am the favorite of chef dhamotharan dishes,its too good. 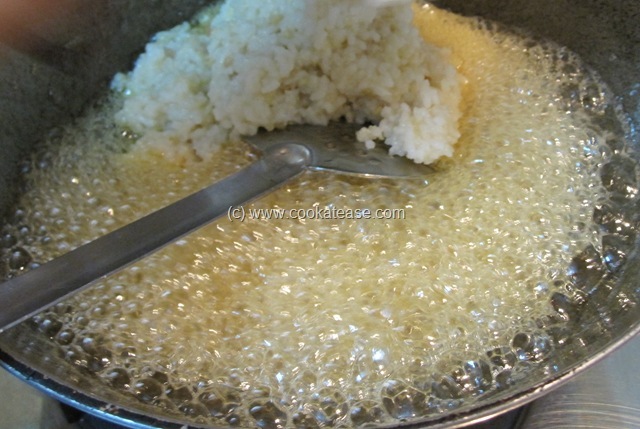 What is the gram dal you are using for this pongal aunty. Is green gram same as bengal gram . Green Gram is Paasi Paruppu (பாசி பருப்பு). 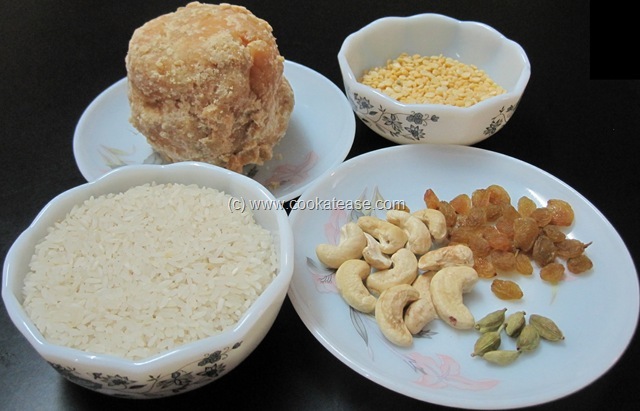 Bengal Gram is Kadalai Paruppu (கடலை பருப்பு). Here I have used skinned Green Gram.